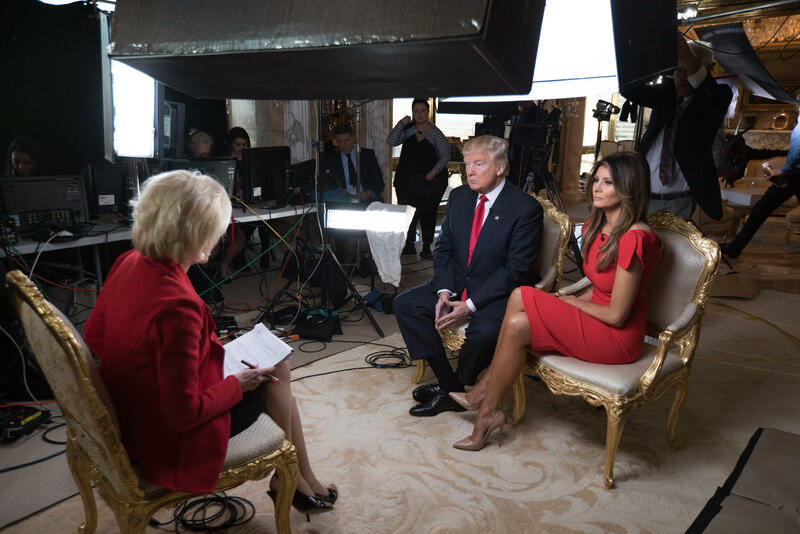 Melania Trump, the soon-to-be first lady, opened up to CBS’ Lesley Stahl in a “60 Minutes” interview about her husband’s penchant for launching Twitter attacks -- an ironic topic, considering Mrs. Trump’s own ambitions to tackle social media bullying during her stint in the White House. Will President Trump attack his opponents on Twitter? “We need to teach them how to talk to each other, how to treat each other and to, to be able to connect with each other on the right way,” she said. She said she would also rebuke her husband “all the time” for his social media presence. “You never say to him, ‘Come on’?” Stahl asked. In the wide-ranging interview, the future first family commented on the weight of responsibilities and scrutiny they would have to endure in the White House. But the future White House occupant, once a fashion model, said she wouldn’t be phased by all the eyes watching her every move. “We are used to it,” she said. Melania Trump also spoke about her recent meeting with the current first lady, Michelle Obama. Asked about any “awkwardness” that may have resulted from this summer’s Republican National Convention scandal (where Melania Trump had plagiarized some lines out of Obama’s own Democratic convention speech eight years ago), Trump’s wife said she didn’t feel any blowback.